Enjoy an hour-long walk on the rise, tragic fall, and modern rebirth of one of San Francisco’s most renowned historic landmarks. Visit a contemporary swirl of shops and learn the history of ferries, freeways, and quakes. 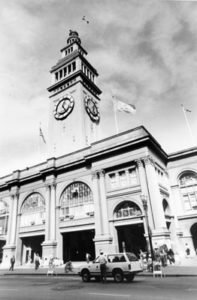 Meet at the foot of the stairs at the front entrance, Market and Embarcadero.